Simplified database development tool for MySQL and Postgres. Supports Windows and Mac. Obtain detailed information about your databases, and add, edit or remove records. Edit database objects stored in your database; display object scripts and export them to Worksheet. 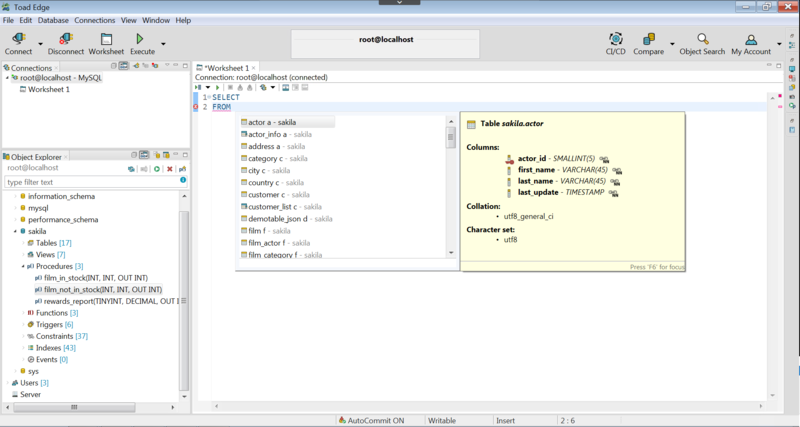 Write SQL scripts and edit JSON data with ease using Content Assist (also known as Intellisense). This tool automatically suggests keywords or templates you might want when you’re working with Worksheet or JSON. Compare and synchronize databases using Schema Compare. Generate and export change scripts for target and source databases, save results and much more. 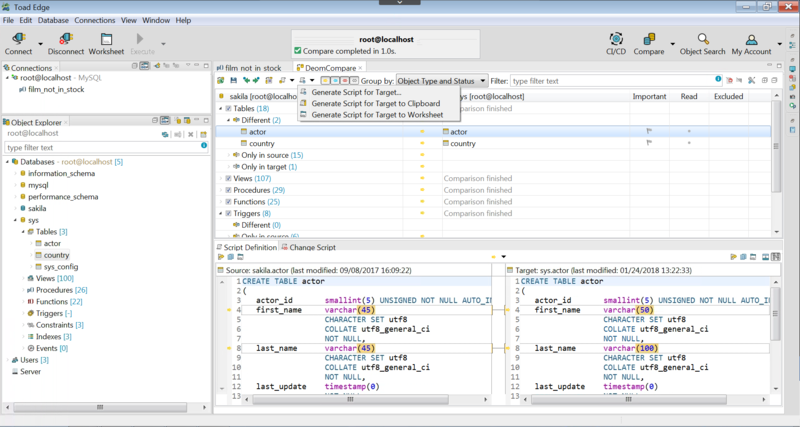 Write complex SQL code quickly and easily in Worksheet with Content Assist. Grant and revoke user privileges for any object on several levels using a convenient interface. View privileges from user or object point of view. Specify wildcard pattern privileges and proxy privileges. View the history of both internal and user executed queries. Copy the log or export executed SQL scripts to a file. Export and import data easily - export table/view records or query results. Import data from SQL, CSV files, or ZIP archives with SQL/CSV content. Store snapshots of your database structure at a specific time in JSON files. Compare and synchronize snapshots with the current state of your active database using Schema Compare. 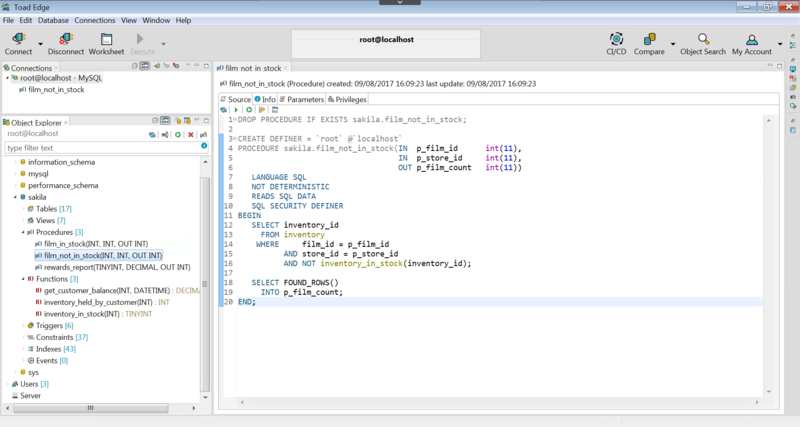 Export the snapshot SQL script to a file, clipboard or Worksheet. 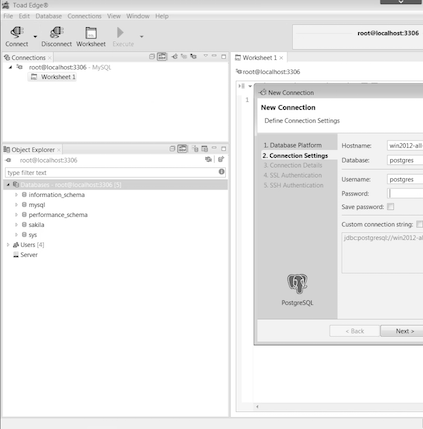 Manage your DevOps workflows with Jenkins Continuous Integration plug-in. 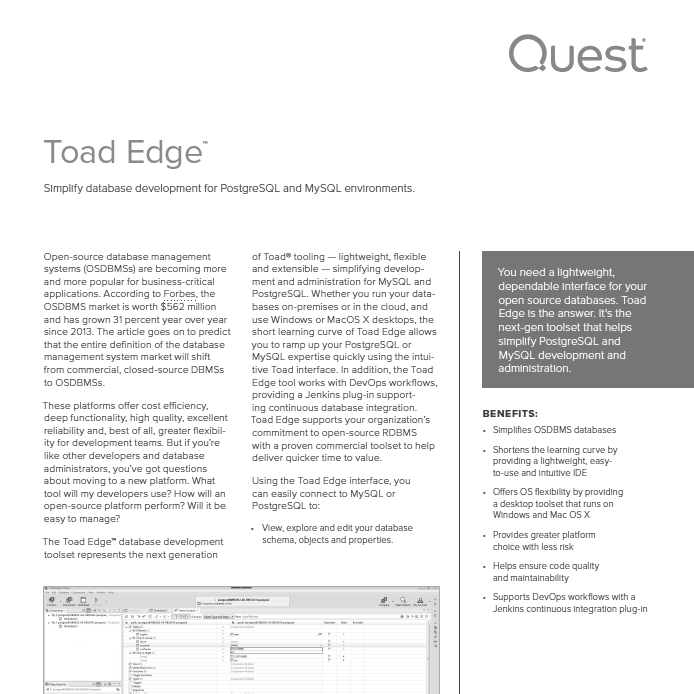 Toad Edge supports MySQL, MariaDB, PostgreSQL, and EDB Postgres. Redshift is also supported in Beta mode. 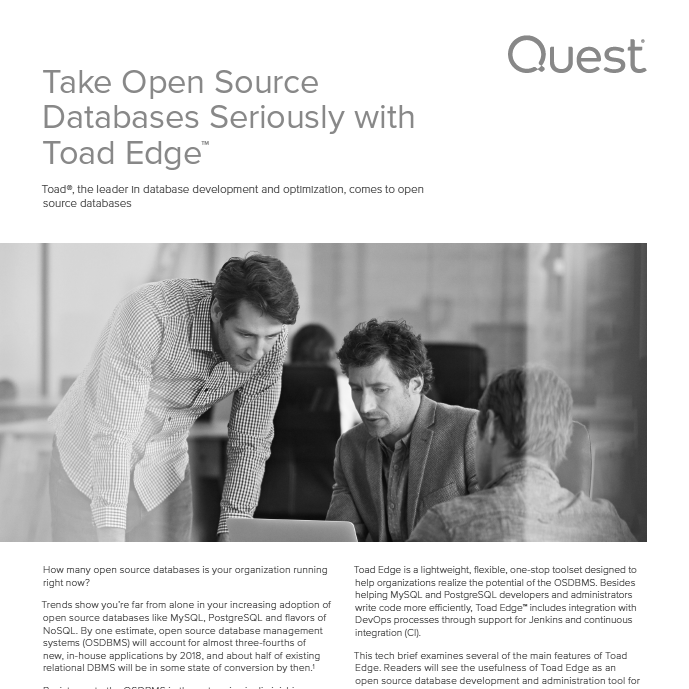 Toad Edge’s video library includes helpful how-tos and product information to help you get the most out of Toad Edge. The Toad World Forums is your place to ask and find answers to questions, and discuss Toad Edge with other users, whether you're a new customer or an existing one.